A wide gauge railway industry event in Moscow will see a variety of braking and oil free compressor systems designed for harsh environments. At the 6th International Fair of Railway Equipment and Technologies in Moscow from August 30 to September 2, Knorr-Bremse is showcasing products and systems from its passenger and freight car portfolio as well as special applications. The name EXPO 1520 stems from the 1,520-millimeter track gauge used in the Commonwealth of Independent States (CIS or ex Soviet Union), as well as in Estonia, Finland, Latvia, Lithuania and Mongolia. The trade fair at the Shcherbinka Exhibition Centre in Moscow is the only one in Europe for wide-gauge railway equipment. While the 1,520-millimeter wide-gauge track has become established in Russia for historical reasons, throughout most of Europe and North America, in China and Australia, trains travel on ‘standard gauge’ track with 1,435 millimeters between the inner edges of the rails – the gauge of the first ever public railway line between Stockton and Darlington in England. Knorr-Bremse is one of the long-standing players in the 1,520 market and is bringing a number of systems and products developed especially for the requirements of this market to the Russian capital – for example, the highly robust KAB60 distributor valve that Knorr- Bremse tested over two long Russian winters without one single failure. The valve feeds and vents the brake cylinders rapidly and evenly all the way to the last carriage – even at extreme sub-zero temperatures. Compliant with the Russian GOST standard, the valve is installed in Russian rail operator RZD’s new vehicles to ensure reliable operation and reduced life cycle costs. In 2016, RZD explicitly commended the reliability of the KAB60. The AKB1 load-dependent brake valve for freight wagons, also on show, is designed to match the brake force applied as closely as possible to the load in the respective wagon. This is done by means of a sensor that detects differences in bogie deflection and adjusts the brake force accordingly. The AKB1 can withstand not only constant jolts and vibration, but also extreme temperatures down to minus 60° Celsius. At the same time, its innovative materials and robust design ensure eight years of maintenance-free operation. 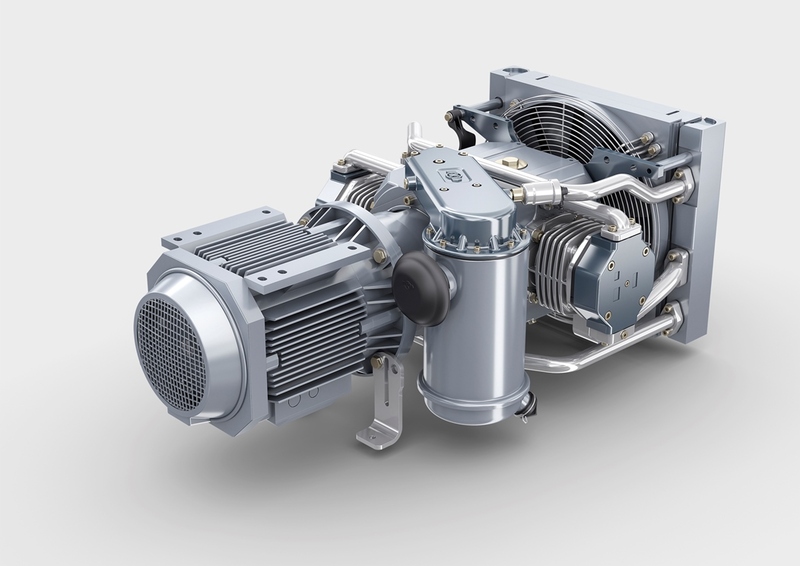 Knorr-Bremse is also presenting the VV120-T oil-free compressor for metro applications which delivers new levels of environmental compatibility: As it no longer requires oil for lubrication, it cannot release any into the environment. It also works significantly more quietly than comparable products. The fair also provides a showcase for products and systems from Knorr-Bremse subsidiaries Selectron and Microelettrica: Selectron’s train control management systems (TCMS) provide the technological backbone for connected systems designed to ensure safety, reliability and low life cycle costs in rail vehicles. Microelettrica is presenting a cross section of its portfolio of contactors, circuit breakers and power resistors.